 I am joining the fight against cancer by participating in the fourth-annual Pedal the Cause bike challenge. Pedal the Cause has the mission to provide funding for cancer research at Siteman Cancer Center and St. Louis Children's Hospital through their annual cycling challenge in hopes that the research funded by their event will ultimately lead to a cure for cancer. Please help me in this journey to find a cure by donating to my ride. I have committed to raise $2500 for cancer research and 100% of your donation will go to directly to this cause. My niece who currently has hodgkins lymphoma. My friend's wife who currently has colon cancer. My Grandmother who currently has cancer. My niece who beat cancer, had her 5 yr visit in 2011 and is now a RN. A friend who beat cancer three times, but is still facing ongoing treatment, and the reason I got involved with PTC 6 years ago. While undergoing chemo 2 yrs ago my friend's son was senselessly killed in New Orleans. RIP Thomas- I'll see you at the finish line with your Dad once again. My Uncle who beat colon cancer. reconstructive surgery for 4+ years due to massive side effects. My late Grandfather who lost his battle with lung and liver cancer. My Uncle who beat skin cancer. My Aunt who beat breast cancer, but then lost her life too early.